It's been awfully quiet around here. 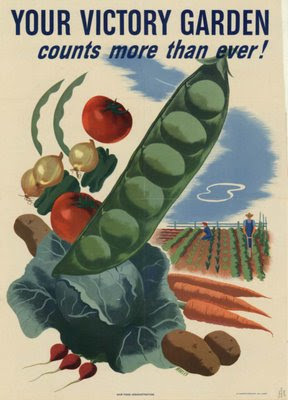 Who is growing more vegetables this year than last? What new seeds/plants are you planning to try out? Have you started your seeds, or will you be buying your seedlings? So far my zukes, beans (2 kinds), golden tomatoes, herbs, and eggplant are sprouting nicely. The cukes are still hiding in the dirt. Butternuts are looking good. I've planned out what goes where, for the most part. I need to get back to the store for my seed potatoes and Boo's onion starts. Typical spring, really. Boundless optimism for the summer! Big plans! Lots of energy! We'll see how long it lasts. Wow you are ahead of me. I will be starting some seeds next week. I just haven't gotten my act together yet. I can't wait to run out to the garden when ever I need fresh basil :) and I hope I will win the battle against the damned squash beetle this year! I almost bought the "salsa growing pack" at Meijer. But pre-paying the landscaper has left me penniless. In a pinch, will we be able to eat the boxwoods?